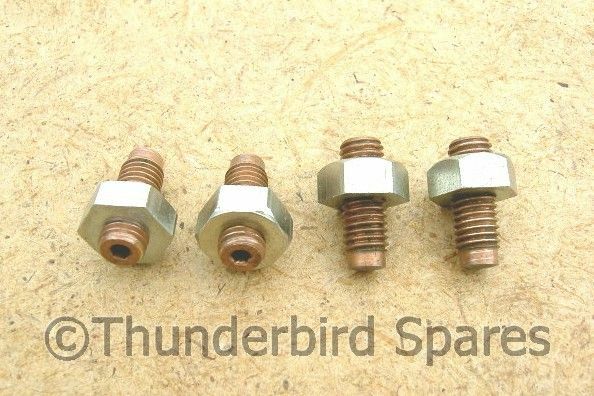 This is a full set of four new tappet adjusters and nuts to fit all the Triumph 350 & 500 unit construction twin cylinder models from 1958-74. They have an allen socket head which makes accurate adjustment easier than the pegs on the original type. 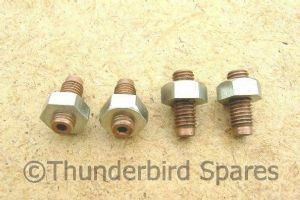 They are also lighter than standard, so useful in reducing valve train weight if you are tuning for speed. Please note: these adjusters have a standard sized operating end rather than being mushroom-headed so they can be fitted from the top without having to remove the rocker boxes.